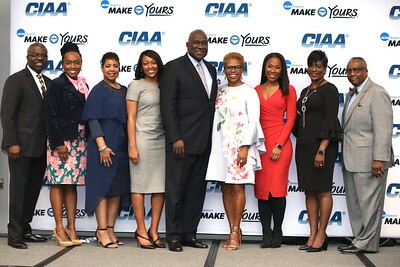 The National Black MBA Association® was included as one of the conference presenters along with Black Enterprise, CIAA and Fifth Third Bank. As a part of this symposium, the NBMBAA® hosted the Black Think Executive Roundtable which is hosted several times a year by the Association to convene thought leaders around various subjects and topics that are front and center in the African American professional community. The Black Think roundtable was led by keynote speaker Thomas Dortch, Jr. President and CEO, TWD, Inc. The conversation centered around the importance of entrepreneurship in the African American community. Attendees were able to engage in a conversation where personal experiences were shared to help reinforce the important of ownership and how to establish a roadmap to achieve this goal. The event also featured an exclusive fireside chat with our very own President and CEO, Jesse Tyson and CIAA Commissioner Jacqie McWilliams. The insights collected at this event will provide the NBMBAA® a platform to develop and execute on key programs, tools and resources to help our members better plan and prepare to build their own businesses.